​Andrew Twiss currently serves as the Assistant Director of Bands at Huntsville High School, where he conducts the Symphonic Band and the Swingin' Stingers Jazz Ensemble. He comes to the Huntsville band program from Tulsa, Oklahoma, where he graduated from Oklahoma State University with a Bachelor's degree in Music Education. During his time at Oklahoma State University, Mr. Twiss studied saxophone, chamber music, jazz, and pedagogy under Dr. Jeffrey Loeffert and Dr. Tommy Poole. He spent several summers as a Teaching Assistant for the OSU Woodwind Institute, where he worked with students of varying ages and experience levels. 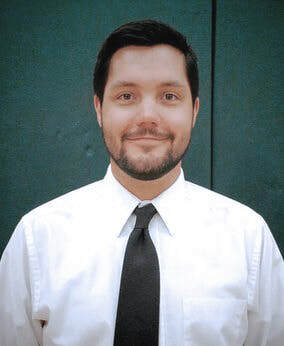 Additionally, Mr. Twiss was a National Chamber Music Finalist in the Music Teacher's National Association Competition, and a drum major for the Oklahoma State Cowboy Marching Band. Through his experience with the OSU jazz program, Mr. Twiss has performed with acclaimed artists such as Stockton Helbing, Christian McBride, and Wycliffe Gordon. Mr. Twiss' professional affiliations include the Texas Music Educator's Association, Texas Bandmaster's Association, National Association for Music Education, and Kappa Kappa Psi, the National Honorary Band Fraternity.